Product: The 2019 Christmas car is extensively imprinted with a wonderful theme. The model naturally also has doors that can be opened. 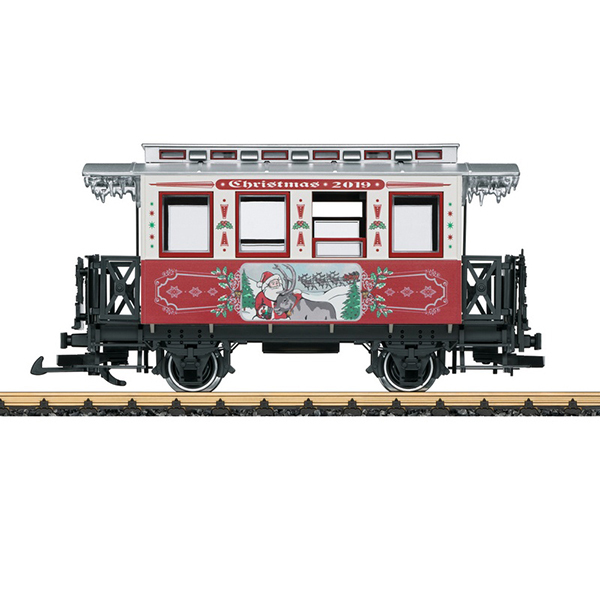 It forms a seamless addition to the previous series of LGB Christmas cars. The car has metal solid wheel sets. Length over the buffers 30 cm / 11-13/16".